As we've watched various singing competition shows over the past 20 years, one thing we've learned is that losing can actually be a blessing in disguise for an up-and-coming artist. Koryn Hawthorne can certainly testify of this. Despite coming in fourth place on The Voice, she had the foresight to title her full-length debut Unstoppable. Just a few months ago, she made history as the first female artist to hold no. 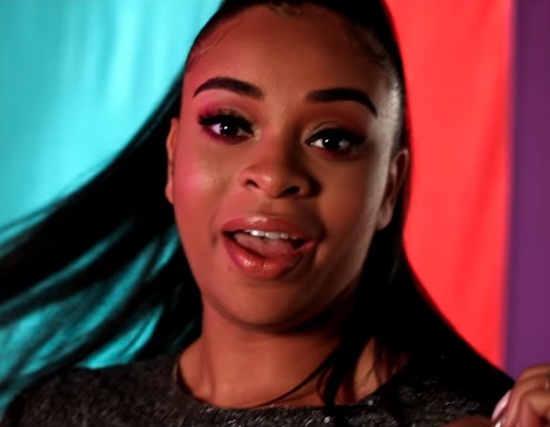 1 on Billboard’s Hot Gospel Songs chart for over 25 weeks – ultimately staying there for 41 weeks, total – thanks to her hit debut single, "Won't He Do It." It's only fitting that her latest drop is the title track, "Unstoppable." Lyrically, the song comes from a personal place, a biographical tale of her musical journey. "They told you that you couldn't do it 'cause you washed up / Ain't like them bad girls, said you should get your sauce up," she recalls. But with much prayer and hard work, she caught her wave and is now encouraging others, singing, "'Cause I can be what I want, try it if I want / I'm powered by the King and He won't let me fall." Driven by minimalist keys, synth effects and sputtering drums, the infectious track has enough bounce and swag to keep us bopping along to the positive message. But a new version, featuring an intro verse by rapper Lecrae is just the "sauce" we need to help make it even better. Check the colorful video below, then scroll down to watch the duo perform the track this past weekend at BET's Super Bowl Gospel Celebration. "Unstoppable" featuring Lecrae is currently available for streaming/download, while the original version can be heard on the Koryn Hawthorne's album Unstoppable.